Join us for a Yin Yoga Class Blended with the effects of Aromatherapy.\r\n\r\nEnjoy a sense of ease in body when long held restrictions and tensions in the body are released. Experience the emotional peace that follows. Class size of 6 students. I am honored to share with you the beautiful experience of Yin Yoga combined with Massage Therapy. This class offers the profound opportunity for deep relaxation, stress relief, freedom of movement and a chance to release tight long time restricted areas of the body. 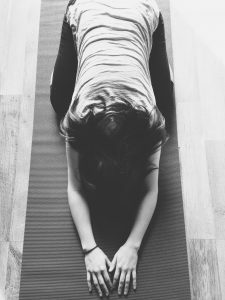 Yin Yoga is a natural healing practice that uses static, elongating poses that are held for 3-5 minutes. Yin postures gently stretch and rehabilitate the connective tissues that form our joints and help to maintain flexibility. This practice can bring balance to an over “yang” or active lifestyle leaving you with a feeling of calm. Yin Yoga, Restorative Yoga, Thai Massage, traditional western massage techniques and aromatherapy are woven into the practice. This class is suitable for beginners and all levels of practice.